It is not the first time we post one the MisterFitzGibbon (Ibrahim FitzGibbon) wonders here. The amazing brick-sorting excavator  is back again and now it is also on CUUSOO! By hand crank or powered with a single motor, this small excavator sorts bricks by size. A purely mechanical design, with no programmable brick. You can find a detailed description of the mechanical principles in use, at the project description at CUUSOO, and since you're there you can also give your support, if you have liked the project. As it looks Ibrahim is still looking for volunteer builders willing to test out the LDD file before final instructions are made open to the public - You will need a massive Lego collection (including new parts) and experience building from LDD files. But you can always contact him at YT, FB, or by commenting in his CUUSOO project. I just finished producing some media, for my latest EV3 robot. This time I managed to build upon my initial idea... The SOM3RSAULT..
As we have been asked to promote our entries to the MCP 'Best Robot EV3R' video competition and share them within our networks, to encourage you to vote, here it goes the bookmark for my video at ReBrick. If you enjoy the acrobat, just 'Like' it! Apart the EV3 programmable brick, this somersault robot, uses 2 EV3 large motors and one IR receiver for the robot to get basic instructions from the IR beacon. This is almost a one kit (31313) model, although it requires two extra 12T double-bevel gears, and some rubber absorbers (45590 and 14149), plus one EV3 rechargeable battery, as optional elements (all them in use at the video showcased). Joe from Walstib's Workshop worked hard to get the new EV3 LEGO Education track inserts out to us! And so did Mauricio from iLe9os, to get us the EV3 Rechargeable battery. In case you have not seen my first entry before (EV3 CARTWHEEL3R), here it goes the respective ReBrick bookmark too, and some photos. Once these has generated some questions among the community, I decided to come up with some information also here at TBs . Similarly to what happened with BT dongles for NXT, there is a very limited choice regarding working WiFi dongles for EV3. Until someone changes something in the firmware/VM executable there is only one WiFi dongle that will work with the EV3. It is the NetGear WNA1100 (with USB ID 0846:9030). You can find these dongles at the moment at several sources, and eventually at your local retailer too. Unfortunately none of the small sized WiFi dongles in the market, or even any other large one like the NetGear dongle, will work! It has to use a specific Atheros chipset (one supported by the ath9k_htc linux drivers, which limits us to around 20 or fewer devices) and then the VM executable checks for a specific USB device ID (unique to the NetGear dongle) before loading the atheros drivers so no other atheros-based dongle works either. Dongles that use Ralink or Realtek chipsets do not even have driver support in the standard firmware image. PS: I've gathered this information from an MCP expert with such firmware topics. Today I wanted to bring up a nice work from steph77 on his Seaplane. 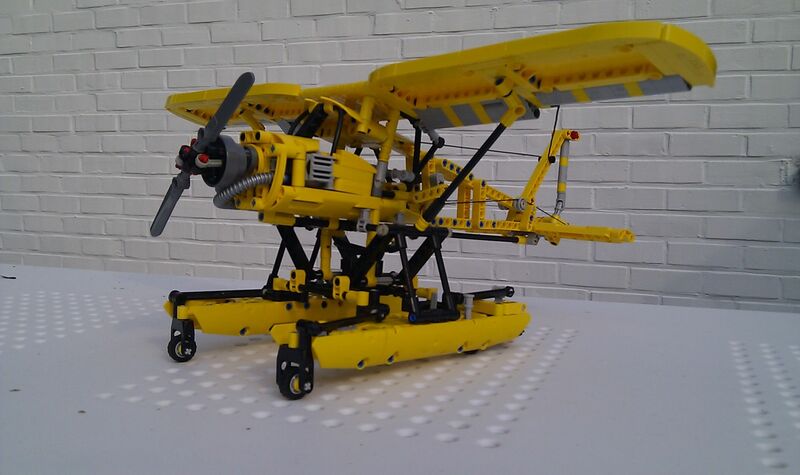 This was part of 19th techlug.fr challenge, aimed to celebrate the 25 years of LEGO Technic Prop Plane 8855 relesed in 1988, and for the contestants to come up with their interpretation of what an actual version would be. This one got 2nd in the challenge ranking. Steph did implemente a plenty of functions in his model, which he will guide you trough, in the video above. You may find some more pictures from this same model, in the respective challenge submission post. 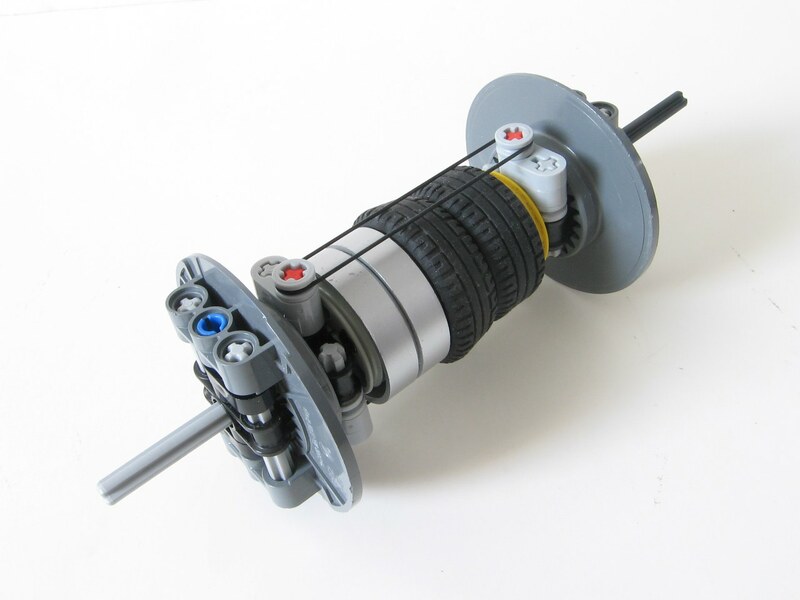 This week we picked a nice and realistic, although not so small, working clutch made of LEGO elements. This was done by Tamas Juhasz and you can see it on the video below. He claims for the least friction possible, although the clutch power seems quite effective. 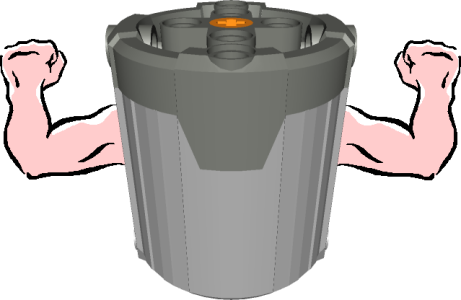 You may find a lot more pictures from this mechanism at Tamas' Brickshelf folder. The XL motor will not be discontinued. It will remain part of our core motor assortment. It is available through shop.LEGO.com and will also be used in future products. Although I didn't doubt that this motor would continue to be available, it's always reassuring to have an official confirmation. Plus, the above statement probably means we will soon see another XL-powered set! Some of you have been wondering and asking when LEGO will make the new PF motors (L and Servo), available for ordering as individual elements. These new elements are highly demanded by many for individual MOCs, and up to now "mostly" available only in sets (9398 and more recently 42009, 41999) or through BrickLink sellers at premium prices and exorbitant markups (or not), who have parted-out these from sets. On several occasions and different sources, LEGO has been announcing future availability for March 2013, then May, June and finally July, always failing to deliver on their commitments... No further dates communicated since then. Almost 14 months have elapsed since first sets commercial availability, and this is still kind of a mystery. Whether this is due to production or third party supply shortage, or even deliberate to increase new sets sales, we don't know! The new motors have been listed at LEGO Education (US) website for about a month (don't know the exact dates) and are currently "Temporarily Out of Stock"... - Hence my reference above 'up to now "mostly" available only in sets...'. The bad news are the official prices - Hence my previous reference to "premium prices and exorbitant markups (or not)"
And the fact that they have not yet been available from LEGO.com/Shop, which is quite unfair for non-US costumers, neither we know when they will be. Furthermore we can already imagine the prices, when these will become available in Euros. Anyways... looking forward for general availability! TBs TechPoll 38 (Results) - Red colored track inserts, or what? Today the results for a poll running last May, where TBs readership was inquired about their favorite color for the new rubber track insert part (bb606), if they could chose a new color for this part. The color choices available, were somehow limited by those available as rubber colors in the LDraw library. The clear favorite and winner was 'black', followed by 'Light Bluish Gray', and surprisingly 'Red' which is the color actually being released, got in third place. Despite not available in the poll choices, many referred in the comments to prefer 'Dark Bluish Gray'! Would it have been in the options available, and it eventually had win, besides the lack of contrast when used with the respective tread's most common color available. Today I dare to show you a video of my own, featuring a model made with my EV3 and published yesterday to celebrate the 31313, MINDSTORMS EV3 official kit release date. I was tinkering about a robot able to do some kind of somersault, and for a set of reasons ended with something a bit different. Hence I went looking for a different name and came up with this carthwheeler thing. This is also a video for a movie competition running among MCPs, at ReBrick. If you liked it and have a LEGO ID or a ReBrick account, you may also consider to visit ReBrick and "Like" the bookmark for this video. Otherwise it is maybe the time to consider creating your account... And do not forget to share! The video above is just a short version of another one you may like to see as well. As planned since a long time, the LEGO MINDSTORMS EV3 Retail Kit (31313) is now finally and officially available in stores and for online ordering at shop.LEGO.com. Below you can find the prices for all the countries where the kit is available through shop.LEGO.com. In case you're planning to order something from the shop.LEGO.com website, you can click through the LEGO Ads in this page. The easy way to order any LEGO sets of your preference and simultaneously support this blog. One thing you might want to remember is that EV3 software won't come included within the box, but it is available online for free download instead. Find it at lego.com/mindstorms. It's time to order, start building and experimenting with your own robots!